November 6th is the California statewide General Election date and there are ballot issues significant to Peninsula residents. Absentee Voter / Vote by Mail ballots should be delivered by the 1st week of October just a few days away. At the top of the ballot is the Governors position. Until recently most presumed that Lt. Governor Gavin Newsom had a “LOCK” on the Governor’s office and he may still have. However, there is polling that John Cox is gaining ground and he cannot be easily dismissed. Cox is an advocate of “Yes on 6” which is also gaining momentum. Gavin is a member of the San Francisco “elites” which has long controlled California politics. A win by John Cox would really “blow the lid off” California politics. The State Assembly race between Frank Scotto and Al Murasuchi is competitive for the District 66 seat which is very critical for California conservatives. Not only is Murasuchi a strong participant in the “tax & spend” legislature, the District 66 seat is one of three seats needed to eliminate the super majority vote that now exists in the Assembly. With the current super majority the Democrats can enact any legislation they may decide to evoke and NOT have to negotiate with the Republicans minority. Frank Scotto presents a good opportunity to reverse the teachers and other unions control of the California legislature. Below there is commentary and recommendations concerning “Propositions” on the ballot. There is ample demonstration as to why we need better effective controls in Sacramento. There is the PVP Watch recommendation as well as description of the Proposition for those wanting greater detail. State Assembly – The Peninsula is in District 66. Frank Scotto, a well-known South Bay Republican and past Mayor of Torrance. Frank Scotto, a supporter of “Prop 13.” is endorsed by the Howard Jarvis Taxpayers Assoc. many South Bay Civic Leaders and the Torrance Police Officers Association. PVP Watch supports Frank Scotto as we believe Mr. Scotto will better serve Peninsula interests of smaller government and reducing taxes than his opponent Al Muratsuchi who has been a consistent supporter of tax increases. For more information, go to www.FrankScotto.com. US Congress – The Peninsula is in the 33rd California Congressional District and the current Peninsula representative is Ted Lieu a Democrat. PVP Watch finds nothing positive about Ted Lieu who supports open borders, sanctuary cities and unlimited border passage of non-documented transients. The Republican candidate is Dr. Kenneth Wright a renowned pediatric eye surgeon and clinical professor at USC. Dr. Wright attended Torrance schools and remains a Torrance resident. PVP Watch supports Dr. Ken Wright and urges a strong Peninsula turnout that will help counterbalance the high Democratic registration in Santa Monica and West LA. For more information go to www.drright4congress.com. In view of Nancy Pelosi’s efforts to become the majority leader in the House of Representatives, replacing Ted Lieu with a known conservative like Dr. Wright would help to keep a conservative majority. California Board of Equalization candidate for the 3rd District is G. Rick Marshall. Rick is a Torrance resident and is well known to many in the South Bay area. His website is – www.grickmarshall.com. The State Board of Equalization was created by constitutional amendment in 1879; it is the only publicly elected tax commission in the United States. Its duties are property tax assessment review, setting income taxes for railroads, utilities and insurance companies and levying the excise tax on alcohol. PVP Watch urges everyone to go to the John Cox for Governor 2018 website – www.johnfoxforgovernor.com. for further information concerning Mr. Cox’s plans as California Governor. A vote for John Cox If for no other reason will help eliminate the teacher union and the San Francisco “elite” control of Sacramento. There may be an exception but generally PVP Watch believes the best vote to vote for conservatives. There are three open seats with four candidates. • Matthew Brach – Mr. Brach is a running on a platform of school safety, mental health, student success and community coloration. • Jeannie Hahn – www.hahn4pv.com. Mrs. Hahn has a PhD in Sociology and is an active parent in PVP schools. 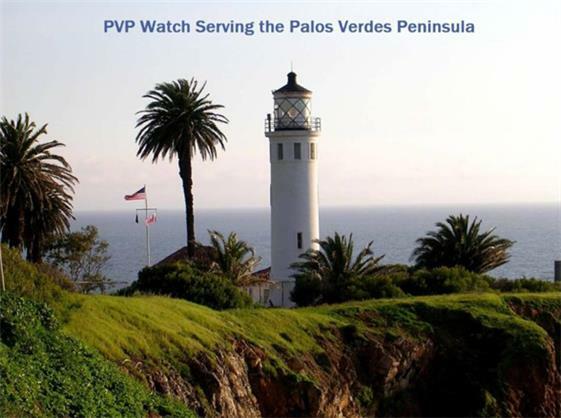 PVP Watch encourages voters to review the candidate’s websites. PVP Watch encourages everyone to study the issues and candidates before casting their ballots on November 6, 2018. This newsletter provides information and PVP Watch’s opinion on the 11 propositions on this year’s ballot. First, a brief explanation regarding the proposition process in California. According to Wikipedia a proposition can be put on the ballot by the state legislature if they pass an act that proposes a state constitutional amendment and it is signed by the governor. Other legislative bills that may require mandatory referenda are bond measures and amendments to previously approved voter initiatives. Another method is to collect the signatures (initiative process) of eight percent (for an amendment to the state constitution), or five percent (for a statute) of the number of people who voted in the most recent election for governor. Once passed a proposition can only be changed by a subsequent ballot measure. Since it is frequently helpful to consider who supports an issue and who does not, select groups and individuals opposing and supporting these measures are noted. Proposition 1 – – PV Watch urges a NO vote. This is placed on the ballot by the legislature and authorizes $4 billion in general obligation bonds for existing affordable housing programs for low-income residents, veterans, farm workers, manufactured and mobile homes, infill (rededication of land in an urban environment) and transit housing. Over the period of 35 years, which it will take to pay off these bonds, it will cost the taxpayers…that is you, me, our children and grandchildren…$5,950,000,000. Our legislators argue that these funds are needed and that this measure will NOT raise taxes. Excuse me! How else will these bonds be paid off if not by the citizens of the state? According to the Howard Jarvis Taxpayers Association (HJTA) five percent of the California general fund now goes to paying off debt from bonds the voters have already approved. This will only add to that. Is it prudent to continually add to one’s debt? Also, these law makers who continually seek to find ways to spend our money, mandate various construction costs to such an extent it costs $300,000 to build an affordable housing unit…about twice the cost of many other states. Sacramento should ponder ways to lessen these costs and therefore be able to build more units with available funds. Affordable housing is an issue in certain areas of the state and citizens in those communities should work to solve the problem. A local problem is best solved by a local solution. It is more effective and fiscally more responsible. The HJTA, Republican Party, Nancy Sandoval…she publishes a voters’ guide for “the busy conservative voter”…are among those urging a NO vote. Among those in support include the Democratic Party, Habitat for Humanity, Congress of California Seniors, Coalition to End Domestic Violence and Silicon Valley at Home. Proposition 2 – – PVP Watch recommends a NO vote. This was placed on the ballot by the legislature and amends the Mental Health Services Act to fund the No Places like Home Program. It will allow the state to use up to $140,000,000 each year of county mental health funds to repay up to $2,000,000,000 in bonds. This would fund housing for the homeless who are mentally ill. This appears to be an issue of who can spend the already existing funds more efficiently, the county or the state. Advocates for the mentally ill are on both sides of this issue. The Mental Health America of California and a representative of the National Advisory Mental Health Council of the National Institute of Mental Health have written in support of the measure. On the other hand, The National Alliance on Mental Illness is against the proposition since they feel it is counterproductive and will take billions of dollars from treatment funds, which will force more of the mentally ill onto the streets. The Democratic Party and Silicon Valley at Home support this measure. The Nancy Sandoval Voters’ Guide has come out against it. The Howard Jarvis Taxpayers’ Association and Republican Party have not issued an opinion. Proposition 3 – – PVP Watch recommends a NO vote. This was placed on the ballot by the initiative process and will authorize $8,877,000,000 in general obligation bonds for water related infrastructure and environmental projects. Over the 40-year period of these bonds, including interest, it will cost the taxpayers $17,300,000,000. According to Peter Andersen, chairman of the San Diego Chapter of the Sierra Club, this proposition was not the subject of public hearings and negotiations but worked out in private and is a classic “pay-to-play” measure. He finds this to be an extremely expensive giveaway. Water experts, including the executive director of the California Wildlife Foundation argue that this meets California’s critical need to secure a safe and clean water supply. Countering this the Central Solano Citizen/Taxpayer Group cite that since 1996 eight statewide water bond issues have been passed totaling $29,000,000,000. They claim these funds were mismanaged and not used to build dams, which are badly needed to collect the rain and snow-melt. United States congressmen Jim Costa and John Garamendi, as well as former California state treasurer Phil Angelides support this measure. The Nancy Sandoval Voters’ Guide does not support it. The Republican Party takes a neutral position. The Howard Jarvis Taxpayers’ Association and Democratic Party have not issued an opinion. Proposition 4 – – PV Watch recommends a NO vote. This was placed on the ballot by initiative and will authorize $1,500,000,000 in general obligation bonds for the Children’s Hospital Bond Act Fund. These funds will be used for the construction, expansion, renovation and equipment projects at children’s hospital in the state. The total cost of these bonds to the taxpayer will be $2,900,000,000 over a 35-year period. 72% of these funds will go to private non-profit hospitals providing services to children eligible for government programs, 18% to the University of California general acute care children’s hospitals and 10% to other hospitals providing services to children eligible for the California Children’s Services program. This is the third bond measure related to children’s hospitals in California and the California Children’s Hospital Association developed all three of the ballot initiatives. In 2004 voters passed a $750,000,000 bond measure and in 2008 another one for $980,000,000. Those supporting this include various pediatric doctors, the California Teachers Association and the Democratic Party. Those in opposition include attorney Gary Wesley, Nancy Sandoval Voters’ Guide and the California Republican Party. Opponents believe since the State Treasurer’s Office reports that California holds $73.33 billion in debt from general obligation bonds and has $31.09 billion in unissued bonds it is not prudent to add $2.9 billion to this. They feel that if the state is to spend money on hospitals, many of which are privately owned, it should come from existing funds. Proposition 5 – – PVP Watch urges a YES vote! This is placed on the ballot as a combined initiated constitutional amendment and state statute. It will amend Proposition 13 (1978) to allow homebuyers age 55, or older, or the severely disabled to transfer the tax-assessed value from their prior home to their new home, no matter the home’s market value, location or number of moves the owner has made. Currently those over 55 are eligible to transfer their tax assessments from their current home to their new home if the new home’s market value is equal to, or less than, their current home. Now this can only be done once in a person’s lifetime and counties decide if they will allow it in their jurisdiction. There are 58 counties in California and only 11 currently allow this transfer with the restrictions set forth above. These counties are Alameda, El Dorado, Los Angeles, Orange, Riverside, San Bernardino, San Diego, San Mateo, Santa Clara, Tuolumne and Ventura. Among those supporting this are the Republican Party, Nancy Sandoval Voters’ Guide, the Howard Jarvis Taxpayers’ Association and the California Association of Realtors. Among those in opposition are the California Teachers Association and California Assemblyman David Chiu. The Democratic Party has not taken a position. According to the web site WalletHub.com, California currently imposes the tenth highest overall state tax burden in the country on its citizens. The first four propositions in this election ask us for, by the time the bonds are paid off, $28 billion more. This proposition gives us the unique opportunity to vote on a measure that potentially lessens our tax burden. Proposition 6 – – PVP Watch urges a YES vote! This is placed on the ballot as an initiated constitutional amendment that would repeal the gas, diesel and vehicle tax increases enacted in 2017 and require voter approval for fuel tax and vehicle fee increases in the future. Last year the legislature passed, and Governor Jerry Brown signed a bill increasing the gas tax by 12 cents per gallon and diesel fuel 20 cents per gallon, amongst other things. This was so unpopular that State Senator Josh Newman was recalled due to advocating and voting for it. The Democratic Party, almost all Democratic politicians, California Chamber of Commerce and California Bicycle Coalition among others, oppose passage. The Republican Party, almost all Republican elected officials and candidates, National Federation of Independent Business, Nancy Sandoval’s Voter Guide and the Howard Jarvis Taxpayers’ Association amongst others, support this. California has the second highest gasoline tax in the country at 73.2 cents per gallon (55.2 cents state and 18.4 cents federal). Nevertheless, last year The American Society of Civil Engineers gave the state a D+ in its assessment of the state’s transportation infrastructure. California does not prioritize transportation systems that the people of the state need and use. A Los Angeles Times article recently revealed the total cost of the train being built between Los Angeles and San Francisco could exceed $98 billion; despite the fact only 31% of registered voters believe the construction should proceed. It proceeds because Governor Brown has proclaimed, “I make no bones about it. I like trains and I like high-speed trains even better.” This is not a high-speed train, it will not run until 2033 at the earliest, Californians do not want it and will not ride it. The HJTA claims that that if this proposition is not passed it will cost a family of four $700 per year and Caltrans has a well-documented reputation of waste and inefficiency. Proposition 7 – – PV Watch has no recommendation. This was placed on the ballot by the legislature and would allow the legislature to establish permanent, year-round daylight savings time (DST) by a 2/3 vote of the legislature if the federal Uniform Time Act (UTA) is changed to allow it. Currently the UTA allows states two options: (1) adopt DST between the second Sunday of March and the first Sunday of November, or (2) remain on standard time all year. California and Florida have asked Congress and the President to pass an act that will allow a state to enact year-round DST. Since a ballot initiative established DST in 1949 the legislature is not able to change it without the passage of this proposition. The United States was on permanent DST from 1942 until 1945 to save energy during World War II. In 1973 this was tried again in response to the OPEC-backed oil embargo, but only lasted 11 months. Neither the Republican nor Democratic Party has taken a position on this. Assembly members Kansen Chu and Lorena Gonzalez along with a cardiologist Dr. Sion Roy support the measure. This might be fixing something that is not broken…but you can decide that. Proposition 8 – PVP Watch recommends a NO vote. This was placed on the ballot as an initiated state statute and would require dialysis clinics to issue refunds to patients or their payers, i.e., insurance companies for revenue above 115% of the costs of direct patient care and healthcare improvements. Revenue above the 115% cap would be refunded annually and if this was not done the clinic would be fined. The measure prohibits discrimination based on who pays the bill, the patient or another entity such as an insurance company. The measure requires more extensive records be supplied to the state bureaucracy. Behind this is the Services Employees International Union-United Healthcare West, who have provided 99.9% of the $17,410,000 raised to pass this measure, according to Ballotpedia. The union has unsuccessfully been trying to unionize dialysis clinics since 2016 and some who oppose this proposition contend, and we agree, that this is a labor ploy to increase their bargaining position. The Democratic Party, California Public Employees’ Retirement System, California Labor Federation and Californians for Kidney Dialysis Patient Protection are among those supporting the initiative. The Republican Party, American Nurses Association/California, California Medical Association, American College of Emergency Physicians, Nancy Sandoval Voters’ Guide, California NAACP, National Hispanic Medical Association, San Jose Mercury News, Sacramento Bee and San Francisco Chronical are among those opposed. According to the Federal Centers for Medicare & Medicaid Services, California dialysis clinics outperform other states in clinical quality and patient satisfaction. Dialysis removes waste products, chemicals and excess fluids from the bloodstream. It is required when a person’s kidneys lose their ability to do this. There are currently about 66,000 Californians who depend on dialysis in the 577 state licensed clinics. Critics of this measure fear the closure of many of these if this should pass. There is not a Proposition 9. Prop 9 was to split California into three states. It was removed from the ballot by a court decision on July 18th. Proposition 10 – – PVP Watch recommends a NO Vote. This is placed on the ballot by an initiated state statute that would repeal the Costa-Hawkins Rental Housing Act (CHRHA), thus allowing local governments to adopt rent control ordinances governing how much landlords can charge tenants. It would state that the local ordinance shall not abridge a fair rate of return for landlords. The CHRHA was enacted in 1995 and places limits on rent control in the state. Supporters of this contend that local governments should have the ability to control their own cities and that vulnerable tenants will not be able to continue to live in their current dwellings if rents continue to escalate. Opponents argue that if landlords and investors are limited in what they can charge, and thus have their return on investment artificially restricted that fewer apartments and similar dwelling will be built, thus exacerbating the housing problem. California has the second highest median rent in the country at $1,297 per month, exceeded only by Hawaii; however, neither of the candidates for governor, Gavin Newsom and John Cox, support a repeal of the CHRHA. Supporters include the Democratic Party, Los Angeles Mayor Eric Garcetti, the Services Employees International Union, California Teachers Association and the Sacramento Bee. Opponents include the Republican Party, California Apartment Association, Nancy Sandoval’s Voter Guide, Howard Jarvis Taxpayers Association, California Association of Realtors and San Jose Mercury News. It is not a good idea when trying to encourage more of something, in this case housing, to make it harder to build units and artificially restrict the profit margin. Only through the availability of more housing units will this problem be solved. Also, instead of having a bureaucrat determine a “fair rate of return”, allow the market to that…it is much more efficient. Proposition 11- – PVP Watch recommends a YES Vote. This is placed on the ballot as an initiated state statute and would allow ambulance providers to require employees, i.e., emergency medical technicians (EMT) and paramedics, to remain on-call (reachable by a portable communication device) during meal and rest breaks, while being paid at their regular rate. If workers respond during a break that break will not be counted as one of their required breaks. This is on the ballot because in 2016 the California Supreme Court ruled that state labor law mandates that rest breaks must be considered off-duty and uninterruptable, including in the event of an emergency. About 25% of 911 emergency calls requiring an ambulance in the state are handled by fire departments and the others by private companies. For the 50 years the 911 system has been in place these men and women, like firefighters and law enforcement, have been on call their entire shift. Among those in opposition are the California Teachers Association, Nancy Sandoval’s Voters Guide and the San Francisco Chronicle, although no arguments opposing the measure were submitted for the voter information guide. Among those in support are Californians for Emergency Preparedness and Safety, the Republican Party, Daily Breeze, Monterey Herald and Sacramento Bee. Proposition 12 – – PVP Watch recommends a NO Vote. This is placed on the ballot by an initiated state statute that would ban the sale of meat and eggs from calves raised for veal, breeding pigs and egg-laying hens confined in areas below a specific number of square feet. Proposition 2 passed in 2008 was similar to this but did not provide specific allowable square feet, which this one does. There are 12 states that restrict at least one form of farm animal confinement. There are a number of animal interest organizations that support this measure including Mercy for Animals, Bark Avenue Foundation, The Gentle Barn, and Jewish Initiative for Animals, etc. Opponents include the Association of California Egg Farmers, Friends of Animals, National Pork Producer Council, Nancy Sandoval’s Voter Guide, amongst others. Two of the most visible Two of the most visible animal rights organizations in the country line up against each other regarding this proposition with the Humane Society supporting it, while the People for the Ethical Treatment of Animals (PETA) oppose it. Those supporting this argue that animals deserve clean, adequate living conditions and that this will ensure that. Opponents counter that these animals currently have acceptable conditions, which are mandated by current law and that those most affected and knowledgeable regarding this are the farmers…not animal rights activists. Continually changing the requirements for the farming industry, those who provide us with our daily bread, raises their expenses and therefore the costs we pay at the market. It is worth noting again that animal rights organizations are divided over the efficacy of this proposition. PVP Watch welcomes subscriber Comments. Please send comments to info@pvpwatch.com. A current email issue is overactive “spam” detectors and we urge everyone to enter info@pvpwatch.com and pvpwatch into their computer address books. This signals your ISP (Internet Service Provider) that you wish to receive PVP Watch newsletters. Those who have topics of community interest are encouraged to bring those issues to info@pvpwatch.com as well. Subscribers should check out www.pvpwatch as well. A reminder to ALL PVP Watch subscribers, should you change your email address, don’t forget to advise PVP Watch. For those who wished to be removed from the PVP Watch newsletter data base, please notify info@pvpwatch.com.